I started cycling two times in my life, with a 15 year layoff. In the mid 80’s, I rode recreationally and enjoyed trail riding and event riding with my wife, Nancy. We had two children and cycling tapered off to NO riding for about 15 years. I spent this time coaching both of my children in ball sports. Which included competitive baseball for several years. In the process I gained about 80 lbs. About 7 years ago, my son asked me why I had all these bikes hanging upside down in the garage and I never ride? Little did I know, that question changed my life. Well, that is all I needed. Who does not want to spend time with their children? As I always enjoyed the scenery and freedom of cycling. So, about 7 years ago I started riding again. Spend some good quality time with my son his last two years of high school. I transferred all the time I spent coaching into cycling. I made a complete lifestyle change. I’m a competitive person. Played ball sports till I was 45 years old (10 years ago). So, naturally when I started cycling again I wanted to improve and push myself. I joined the Good Time Gang Cycling Club and several members inspired me. I remember going on rides at first and saying to myself, “if I can only average 16 mph on a 15 mile ride, I would be so fast”. So, I got dropped a lot. I maintained persistence and developed a passion for cycling. I continued to improve and the pounds gradually came off. Eventually, I joined the GTG Racing Team to feed my passion for cycling and competition. The Team was started by Frankz Jacobson and currently I head up the Team. I don’t have a structured training plan and really don’t focus on areas of improvement, as I should. I just ride fast group rides and chase. For me riding should be fun, and I really enjoy the camaraderie of riding with friends in a group setting. If I had a structured plan I would not enjoy it nearly as much. Riding with friends and meeting new friends with a passion for cycling. For me cycling has such a great community of individuals who are mostly in it for the same reasons, fitness and friendship. I really enjoy the chase of riding with faster riders and trying to stay up with them. 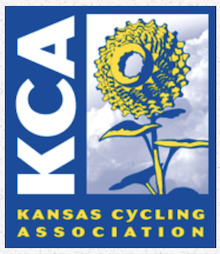 The last few years I have focused on endurance events, such as the DIrty Kanza 200. So, the training required with the DK motivates me. I have a DK200 training team and we create hard training efforts with new routes, locations and make it an adventure. This past winter indoor spinning was great prep work for the season. The big motivator again for me is the camaraderie and friendship. My number one goal is to have FUN on my bike. When it becomes a job, it’s not fun anymore. I want to continue to challenge myself to improve. My #1 goal in 2018 was to complete my 3rd Dirty Kanza 200. Unfortunately, I crashed and suffered severe head trauma and only made it 67 miles. A full recovery is expected. I will live to fight another day. So, for next year my number one goal is to complete the 2019 DK200. For the GTG Racing Team, I wanted us to co-sponsor an event. Not only just show up and put your time in, but make a significant contribution to the cycling community. Our Team accomplished that by assisting in the Lake Perry Road Race. It is important all of us support the cycling community. I have made so many friends who have motivated me through cycling it’s incredible. First and foremost GTG Cycling provided the springboard when I first started back in to cycling seven years ago. Several members taught me how to ride. There are so many GTG’ers who have provided encouragement over the years. I have been motivated the most by Todor Gounev and Danny Roos. We have shared a lot of good times and miles together . The Raging Bulls Team has provided many challenging rides and support. My Spin Group this past winter has reminded me training in the off season is important and can be fun! My DK200 training team has provided great support and friendship. We don’t have an ocean in Kansas, but we do have the Flint Hills! For me cycling has always been about the scenery and freedom. It does not get better than the Flint Hills! Find your passion and have fun with it. Don’t make it a job. Evaluate your weaknesses and structure training to improve. Spend at least one day a week and focus to improve on your weaknesses. This is difficult as we all want to do what we do well. On group rides surround yourself with faster riders who will provide inspiration and motivation in a positive way. “Live to Fight Another Day” . What this means to me, with racing there will disappointment, adversity, thoughts of giving up, and injury. Keep fighting the obstacles and you will overcome and become a better cyclists and person! There are so many life lessons to be learned through sports. Currently, I am overcoming a severe head injury, facial stiches, and vertigo. So, I say it every day and it helps. I have been married for 30 years, Nancy, with 2 children, Thomas, 25 and Jessica, 23. I own my own business, Creative-Coldsnow Artist Materials and Framing. That is a hard question. The 2016 DK200 was my most satisfying. As I had to overcome several obstacles including mechanicals and the typical heat and wind of the DK. But I always finish what I start and I completed the 206 miles. I few years back I rode the Levi Grand Fonda in Northern CA, which provided the best scenery of any ride I’ve ever participated in. Recently, I raced in the Open Range Gravel Race and finished 7th and had a lot of fun working with a friend who finished well also. It was fun pushing myself to the limit and riding as a “Team”.